Make this mid-century style timber bedhead in a weekend with Porta timber mouldings. 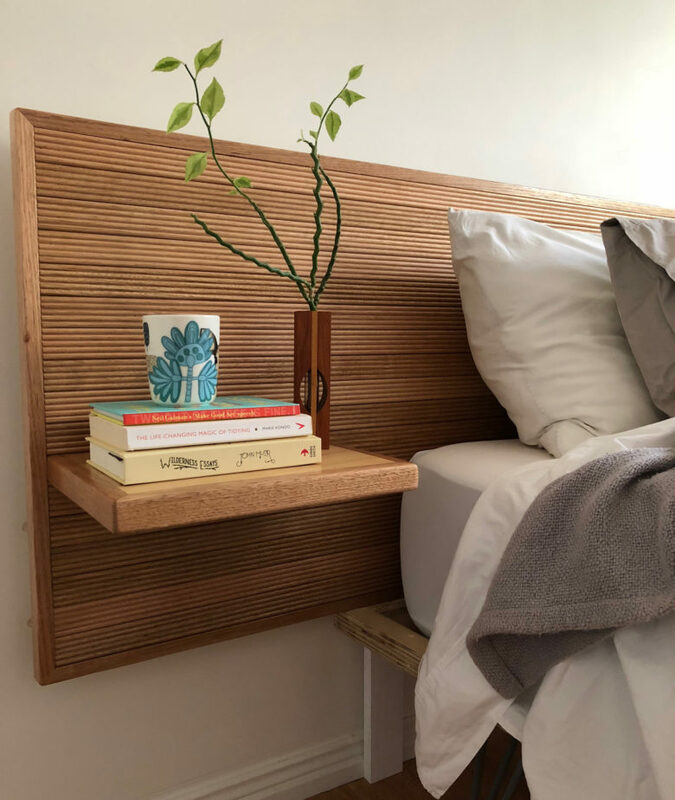 Like any great piece of furniture, this gorgeous bedhead made from Porta timber by Natasha Dickens, Little Red Industries, combines aesthetics with function. This bedhead has built in timber shelves and can be painted, stained, or varnished to complement your personal style and interior design. The bedhead is designed for a Queen size bed and is made with Porta Ribbed Edging Timber Moulding and Dressed All Round (DAR), both in Tasmanian Oak. You can adjust the dimensions, timber species and moulding type to suit you. According to Natasha, “This is a weekend project and it helps if you have access to basic power tools.” Check out the specification sheet below for some handy tips if you don’t have access to power tools. To make your own timber bedhead, watch the quick video above and view the specifications and step-by-step instructions in the project sheet below.